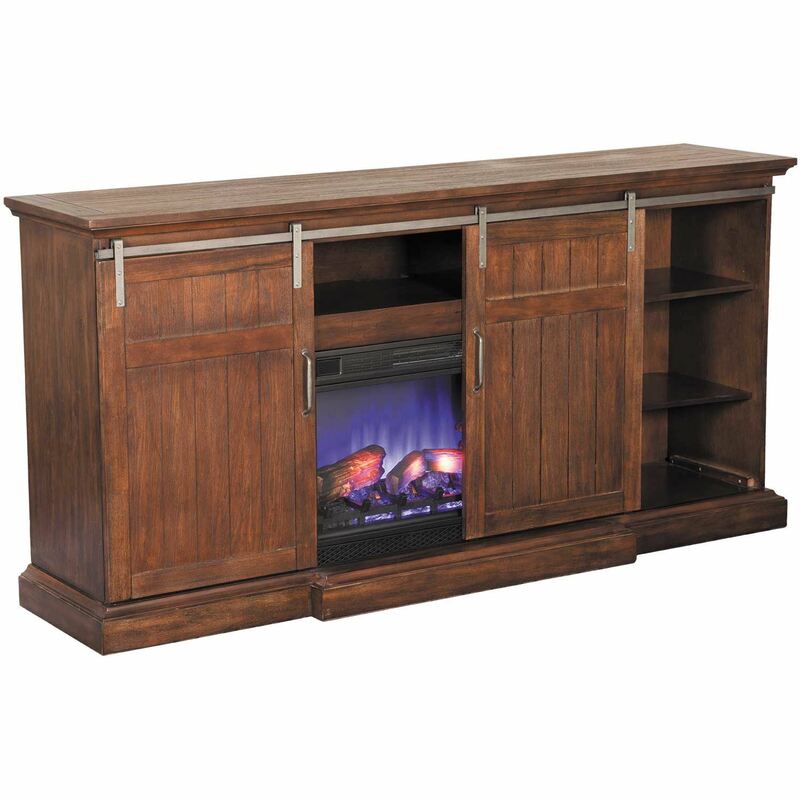 The Cabaret media mantle fireplace TV stand by Classic Flame is rustic yet sophisticated. 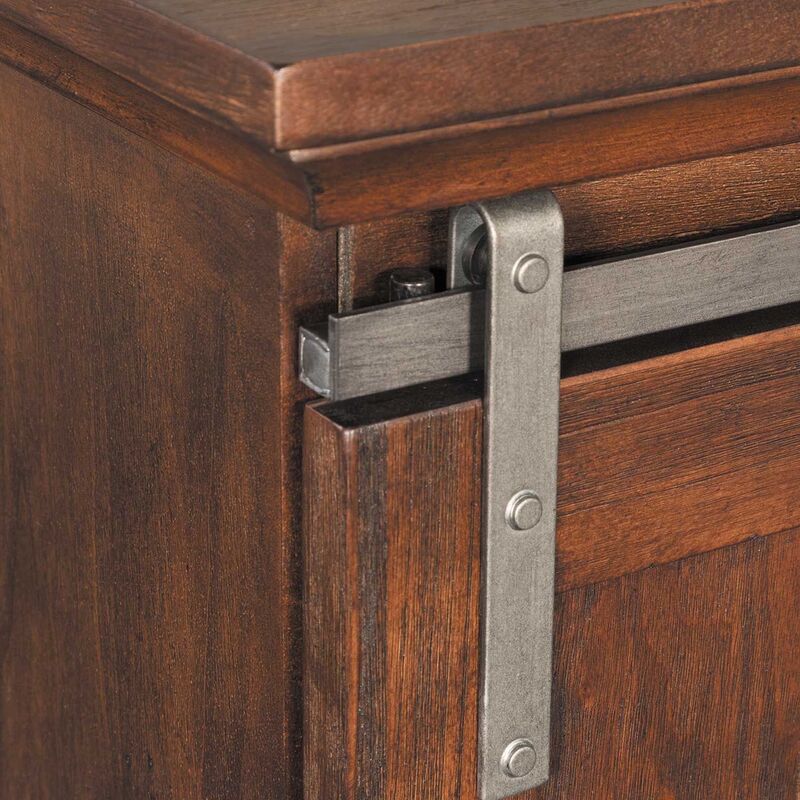 The rich, complex distressed oak finish is enhanced by premium hardware in a distressed pewter finish. 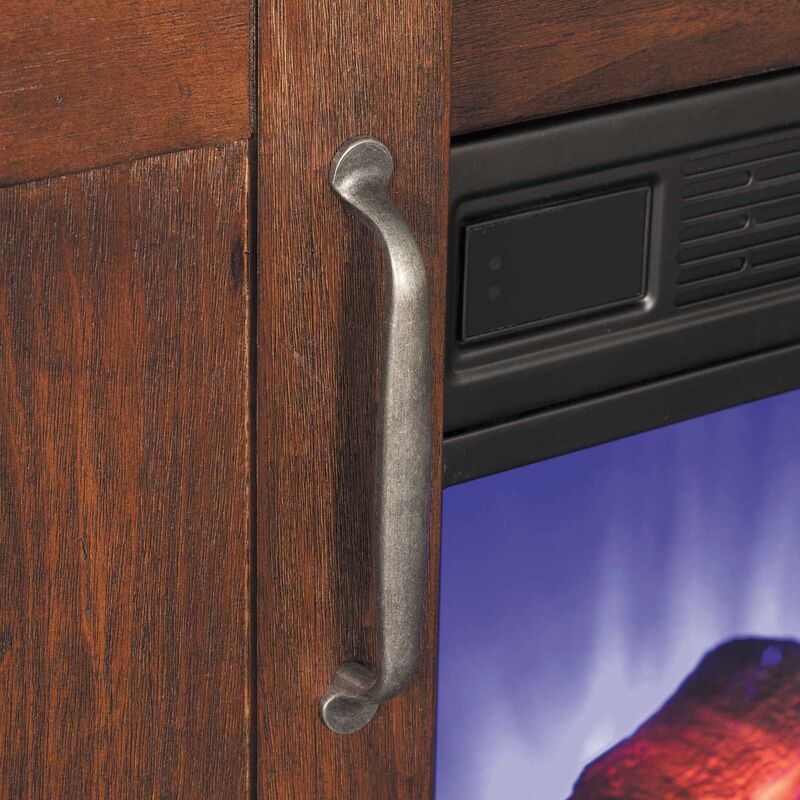 Rolling barn doors slide to reveal or conceal the infrared fireplace insert or media/display shelves. 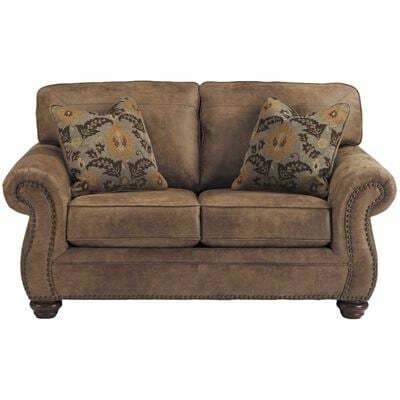 This instant classic will heat up to 1000 square feet in the winter and crank up the charm in the summer with the realistic flame effect. Cabaret Media Fireplace in Vintage Oak Finish by Classic Flame. Constructed of hardwood solids and veneers. 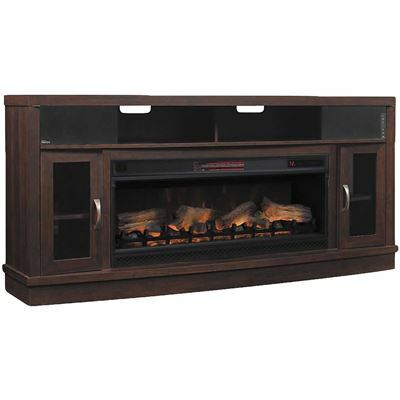 Includes 32" infrared 3D flame effect firebox. Patent pending 3D flame effect technology offers a layered flame effect to create a realistic fire with five adjustable brightness and speed settings. 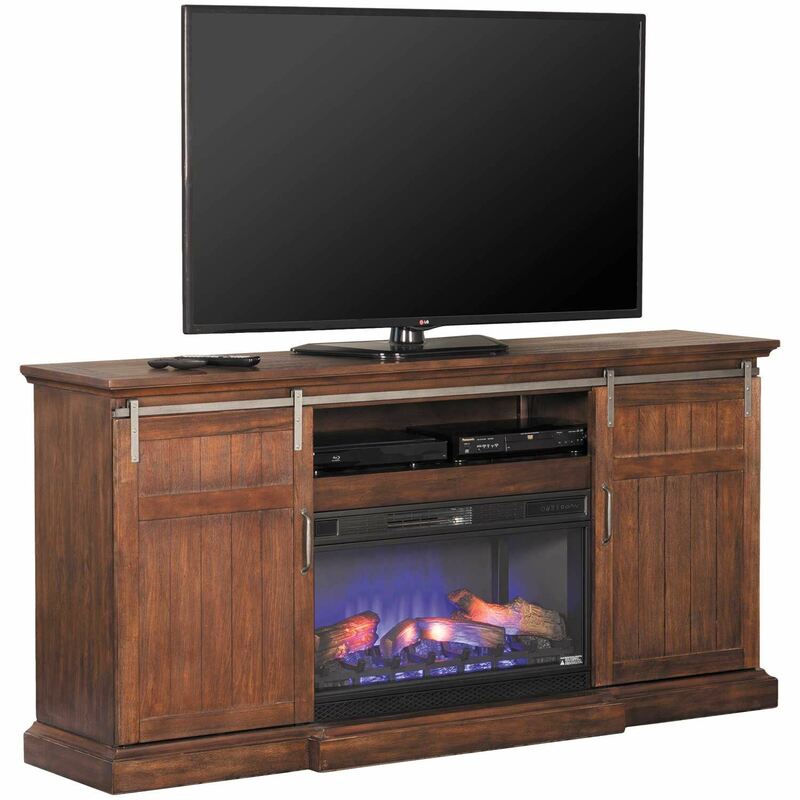 5,200 BTU heater provides supplemental zone heating for up to 1,000 square feet. Digital thermostat allows you to adjust the temperature of your room. Flame effect can be operated with or without heat, providing the ambiance of a gentle rolling fire all year long. Holds TVs up to 80". Barn doors slide in front of electric fireplace or in front of cabinets. 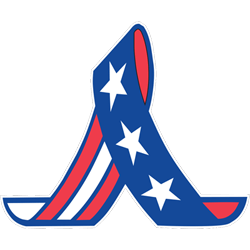 Patent pending safer sensor fire prevention technology located on the front of the unit will turn off the heater if the barn doors are covering the electric fireplace or there is anything too close to the heater that could be unsafe. 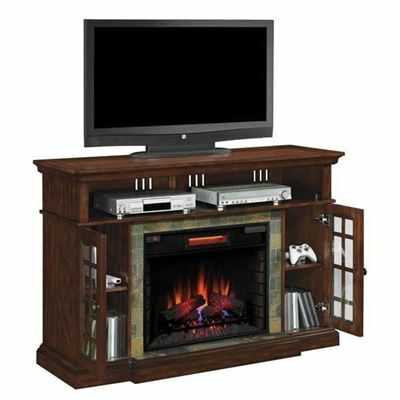 Open media shelf and two side cabinets with adjustable shelves for media components and storage. Infrared quartz electric fireplace capable of warming up to 1,000 sq.ft. The media fireplace collection by Classic Flame offers quality construction and uniqueness for each mantel. 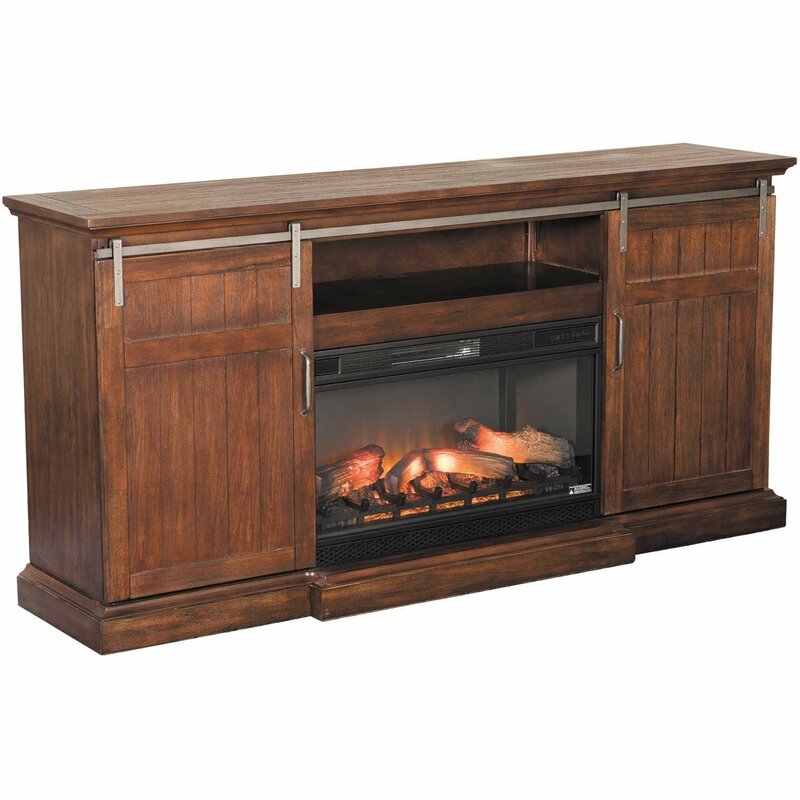 All mantels feature realistic flame effect with 4600 BTU heater. 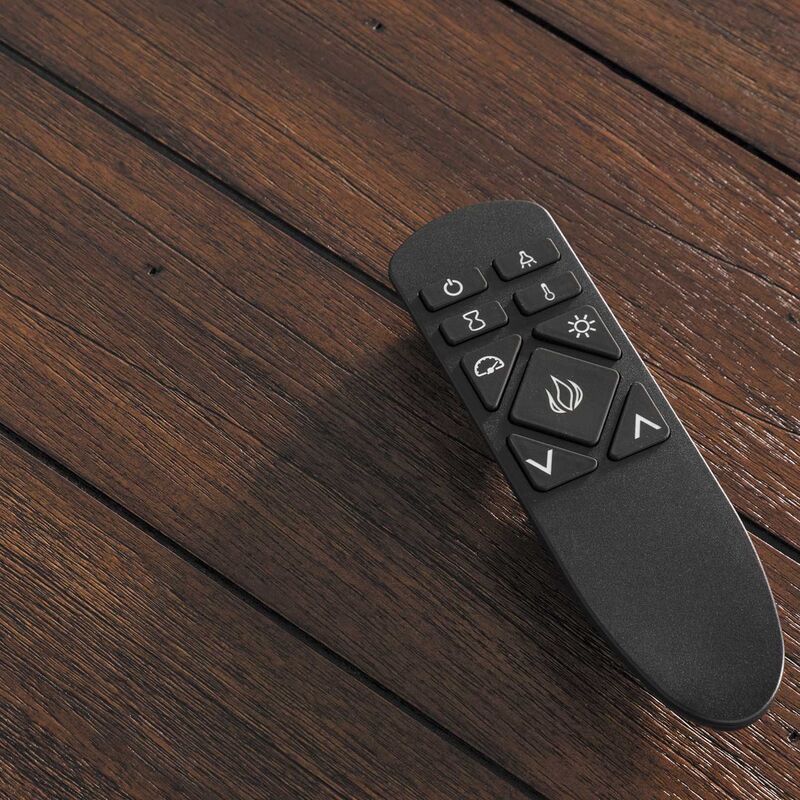 Multiple flame and heat settings can be adjusted with the remote control (included). 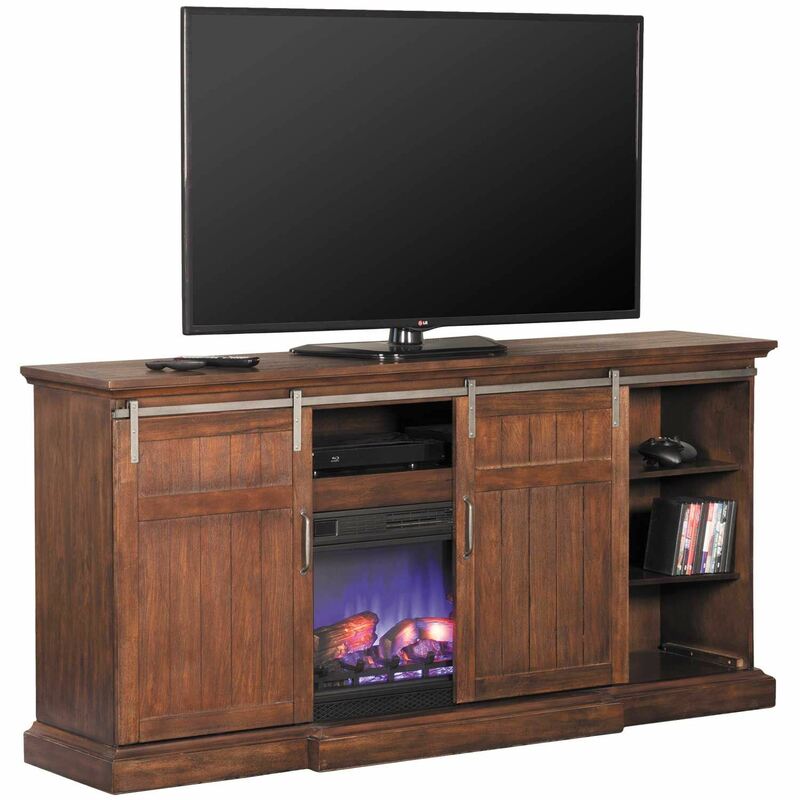 Select models feature TV console functionality with media and display storage. 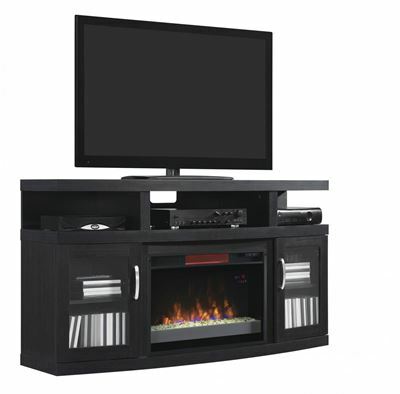 The perfect pieces to bring ambiance, warmth and modern media functionality to any room!